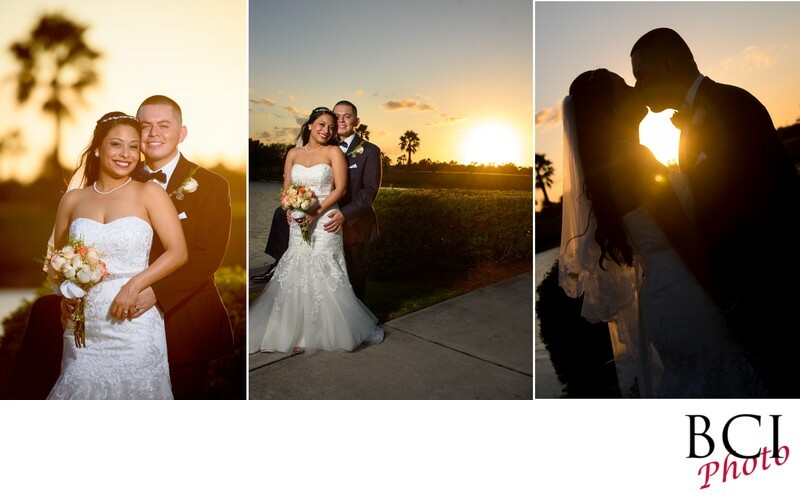 This is a bridal album page design feature the bride and grooms romantic sunset portrait session at the Tradition Town Hall in Pt St Lucie Florida. Here you can also see what a fantastic wedding venue Tradition town hall can be. with a treasure trove of photo ops, lets just hope the new owners will still allow this terrific site to be available for weddings in the future.